Chael Sonnen is once again facing the NSAC officials in a formal meeting on April 27. Will he be able to acquire his fighter's license this time? Chael Sonnen will have a formal chance to clear the air with the Nevada State Athletic Commission, as the middleweight contender will appear before the commission on April 27. The five members of NSAC will decide whether they will grant the fighter a license and cornerman’s license or not. It should be remembered that Chael Sonnen met with the NSAC executive, Keith Kizer, last month with the UFC officials. The initial meeting was meant to address the fighter’s statements with the California State Athletic Commission about his use of performance enhancing drug. In addition to this, the meeting also implies to Chael Sonnen what to expect in case he applies for a second license. But unfortunately, the people involved did not deem the meeting as successful. 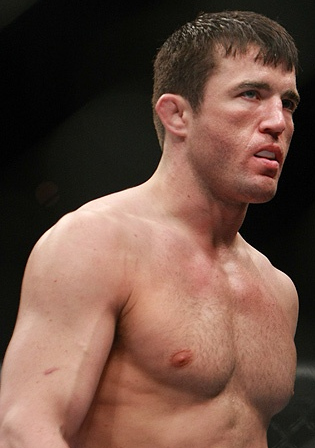 A majority vote from the NSAC will allow Chael Sonnen to fight in the Nevada state, as well as corner other fighters. Chael Sonnen served six months suspension from the CSAC, rooting from his used of prescribed testosterone prior to his UFC 117 match against Anderson Silva. Will Chael Sonnen be able to get through all of this? Leave your opinions at the comment box below.